A day ahead of making the cocktail, freeze coconut water in a large ice cube mold. Combine ingredients with ice and stir until chilled. Strain into a rocks glass over the coconut water ice cube. We discovered the Scotch and Coconut at Cane and Table, one of our favorite bars in New Orleans. 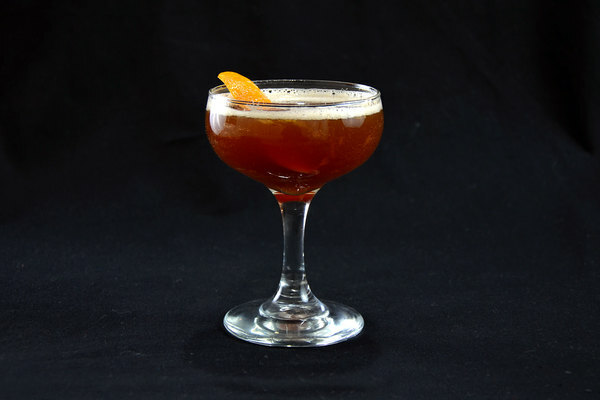 This subtropical, split base drink quickly became a favorite. The combination of rum and Scotch conjure nocturnal vibes, while Curacao and coconut water offer a hint of the tropics. 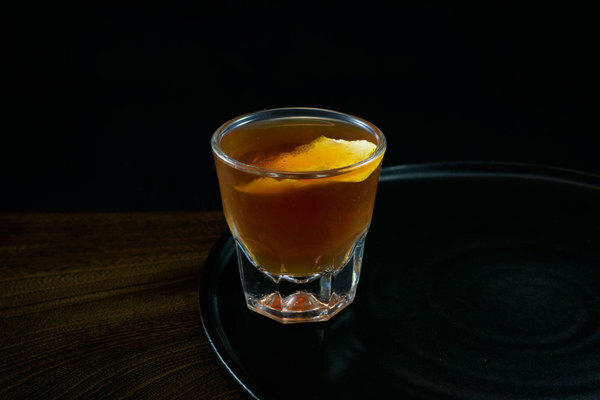 It’s a strong, thoughtful drink that makes the perfect warmer for cold weather nights, but works equally well as a spirit forward sipper on hot summer days. Funky rum and woody Scotch are immediately present on the nose of this drink. Rich rum fades into a clean, minerally sip before finishing with a lingering sweetness from the coconut, accompanied by a complex burn from the combination of spirits. This beauty is celebration ready, with a golden glow elevated by the opalescent rock; which adds interest to the drink without sacrificing simplicity. 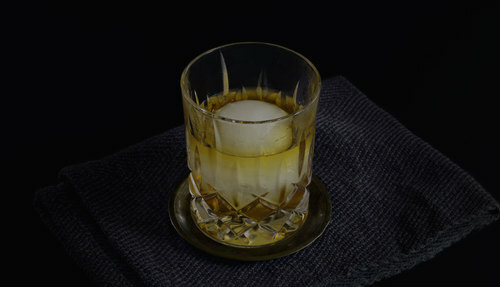 As the cube melts, the cocktail acquires an increasing dose of sweetness, lending an interesting element of time and a multidimensionality. This drink is very simple to prepare; the most difficult part is not using the coconut cube before you are supposed to! The recipe allows for creativity in selection of Scotch and rum. 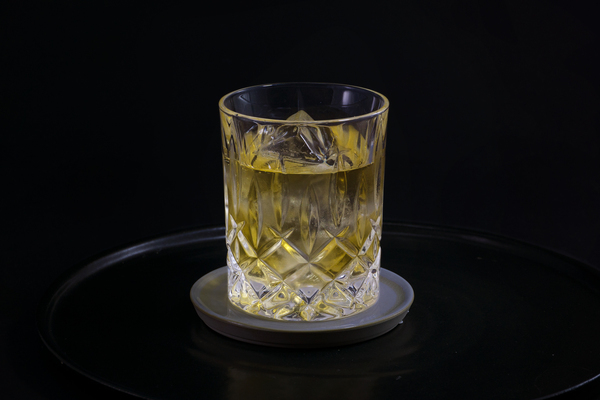 However, an aggressively peaty Scotch is not recommended; a smoother, blended Scotch won’t dominate the nose and taste. If uninterested in waiting for the coconut cube to thoroughly melt, one could add a little splash of coconut water to the mixture while stirring. Make sure to stir the cube for a bit longer than usual to release its essential, sweet flavor.